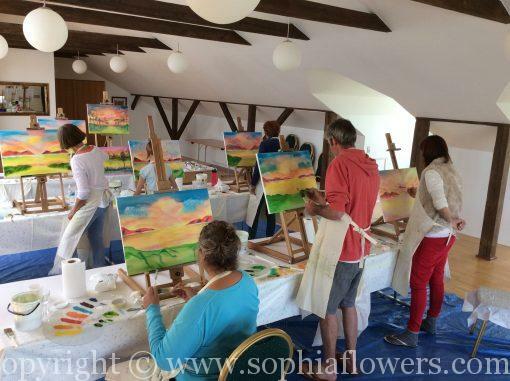 Feel inspired and realise just how easy it is to create and paint landscapes/floral scenes. It’s all about you discovering your own unique way of painting. Groups are kept to a maximum of four to ensure individual attention within a relaxed, informal environment. You will discover your own creativity within the group with the opportunity to gain sharing and direction whilst connecting with others. You will be responsible for providing your own painting materials and upon receipt of payment, will receive a document setting out what is required for the next class and confirmation date/time. I like to use wet-on-wet oils as these are such a vibrant and easy medium. At times, we may mix media and use a little acrylic, etc, and start to experiment. 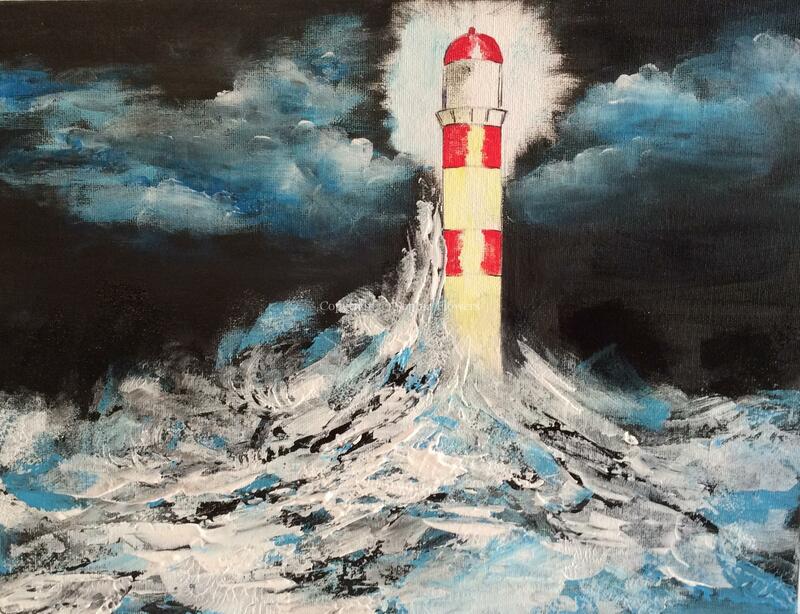 Remember, as long as you have paints, brushes and a canvas we can create a scene. I have painted before now using one brush, a kitchen scourer and my fingers to apply acrylic so don’t allow anything to get in the way of being creative. After an hour of painting, we will take a break as it’s important to come away from the canvas and see it afresh on our return. Following the break, we will reconnect and complete the lesson. By the time you finish, you will realise just how easy it is to create and paint. 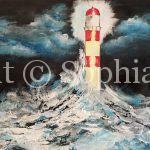 We will have the scene opposite as our inspiration and this one is using all acrylic paints. It’s a really fun one to do!